The Save the Plastic Bag Coalition is an organization that claims to question and challenge the misinformation, myths, exaggeration, and hype spread by anti-plastic bag activists. They believe that a lot of the information regarding the negative impact plastic bags have on the environment is false and spun in such a way to villainies plastic bags and the companies that manufacture plastic bags. Per their web site the Save the Plastic Bag Coalition claims environmental policy should be based on facts. They also claim to have no connection with or to be financed by the American Chemistry Council or Progressive Bag Affiliates. While they claim to be a completely independent organization the coalition fights in the court of law on behalf of these companies. The issue at the center of the lawsuit was the failure by the City to file an Environmental Impact Report, or EIR. An EIR is required under California law if there is substantial evidence that the project may have a significant effect on the environment or when there is serious public controversy concerning the environmental effect of a project. While most will agree that a plastic bag ban will not negatively impact the environment, an impact is still an impact so that necessitates a report under the law. The drawback of an EIR is that is can be time consuming and expensive. Also in the time it takes to determine the pros and cons of a plastic bag ban thousands of plastic bags can be put into circulation, compounding the problem. An EIR can be especially trying for smaller cities that do not have the financial resources of large municipalities. The California city of Sunnyvale put together an EIR that cost $48,000, and the city could not have been happier that the final cost of the report was that low since they anticipated spending more. Both sides of an argument should be heard before passing a law; however, a lot of startup money is required to ban plastic bags, but disposable bag manufacturers only need to spend money if they decide to fight a proposed ban, otherwise they continue to profit. The report can rake up a serious expense for a proposed measure and in today’s economic climate municipalities need to be cautious about how they spend their money. Cities can avoid the expense and time of an Environmental Impact Report if the measure is voted in by the residents and completely avoids legislative action. The power of the people trumps efforts by politicians to act on behalf of the people. Smaller municipalities may also be able to pass a ban without an EIR, based on a ruling by the state Supreme Court regarding the City of Manhattan Beach. When Manhattan Beach did not conduct an EIR prior to imposing their plastic bag ban Steven Joseph and the Save the Plastic Bag Coalition were quick to follow up with a lawsuit. The lawsuit was ultimately overturned and Manhattan Beach was allowed to carry on with their ban, but the court decided that municipalities larger than Manhattan Beach will likely have to file an Environmental Impact Report prior to issuing a ban, creating a gray area under the law. As on 2010 San Francisco was approximately 24 times larger than Manhattan Beach in terns or residents, so under law San Francisco fell into the category of likely needing to conduct an EIR. The waters are further muddied since San Francisco did not pass a new ban they simply expanded an existing and legally binding ban. 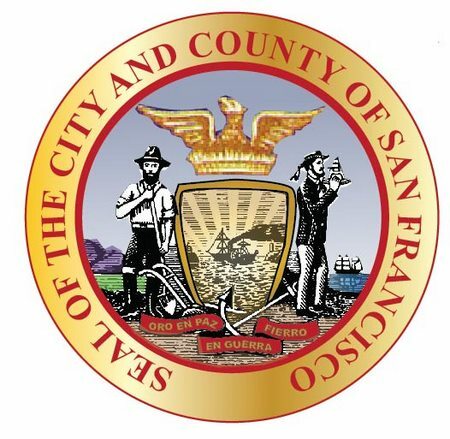 The foundation of the suit against the City of San Francisco claims that coalition members Crown Poly, Inc. and Grand Packaging, Inc., both of whom manufacturer plastic bags, would be negatively affected by the ban. The suit goes on to state that false information regarding the environmental impact of plastic bags is floated about to lobby public support for bans and against plastic bags. Coalition members are attempting to protect their livelihood by preventing their products from being what they consider to be unlawfully and invalidly banned. The suit asserts that the ban misleads the public because by still allowing paper and compostable bags to be used, even if for a fee, this implies that paper and compostable bags are not bad, or at least not as bad, for the environment as plastic bags. The concern is that consumers will conclude that disposable plastic shopping bags are worse on the environment because they are not allowed at all. The Save the Plastic Bag Coalition does not agree with this reasoning and feels that paper and compostable bags are in fact significantly worse on the environment than plastic bags. The suit goes on to list reports done by several organizations, including the Environmental Impact Report done by Los Angeles County, as sources that concluded paper bags pose more of an environmental hazard than plastic bags. Joseph argues that the fee imposed on the use of paper bags will not have an impact on their consumption. “A 10-cent fee is, or may be, far too low to act as an effective incentive to promote the use of reusable bags,” wrote Joseph. “No one will carry a reusable bag with them for unplanned impulse buying. Very few people will carry a reusable bag to Macy’s or other department stores to save a dime. Very few people will carry a large reusable bag to purchase one or two small items such as earrings or a watch or a snack from Union Square or Chinatown. Very few tourists will carry reusable bags when they visit Fisherman’s Wharf and tour the city.” He makes a valid point that people may not always carry reusable bags and can find themselves without if they make an unplanned trip to a store. Tourists are also not very likely to carry reusable bags. A report by the City of San Jose found a fee of at least 25-cent per paper bag is required to significantly alter shopper behavior. Apparently the majority of shoppers choose to pay paper bag fees less than 25 cents because the convenience of the bag outweighs the expense of the fee. What Joseph and the Save the Plastic Bag Coalition are not considering is that while the 10-cent fee is not an excessive amount of money the purpose is not for stores to turn a profit from collecting the fee, or for the fee to become a major financial drain to consumers. The intention of the fee is just to reminder shoppers that they have the ability to choose and choosing non-biodegradable bags comes at a price. As San Francisco Mayor Ed Lee said of the fee, “The intent was never to nickel or dime anybody, but if it takes 10 cents to remind somebody that their habits are in their control, I think that’s something we’re willing to consider doing.” Joseph and the Save the Plastic Bag Coalition are underestimating is the spirit, fortitude, and sense of environmental obligation of San Franciscans. The City has a very viable eco consciousness and initiatives promoting sustainability are typically met with open arms. Companies that manufacture and distribute plastic bags should consider focusing their energy and efforts on how to grow and evolve their products and services in an eco-friendly and sustainable way instead of trying to squash bag bans. It is understandable that companies like Crown Poly, Inc. and Grand Packaging, Inc. would try to survive and protect their livelihood and image, but the money and time invested in attempting to prevent bans could go to better use researching and developing ways to make their products and companies more suited to today’s eco consumers and lifestyles. Reusable shopping bags are gaining momentum and even in areas without disposable bag bans you will see shoppers toting their reusable bags to and from the store in lieu of paper or plastic bags. Everyone is entitled to their opinion, but you do not have to wait for legislation or legal maneuvers to drop disposable bags and take up reusable bags. You can make an impact and change your habits all on your own and help make the world a cleaner and better place. For more information on the plastic bag ban lawsuit filed against the city of San Francisco check out http://www.huffingtonpost.com/2012/03/02/plastic-bag-ban-san-francisco_n_1317685.html. To learn more about Environmental Impact Reports go to https://www.wildlife.ca.gov/Conservation/CEQA/Procedures.